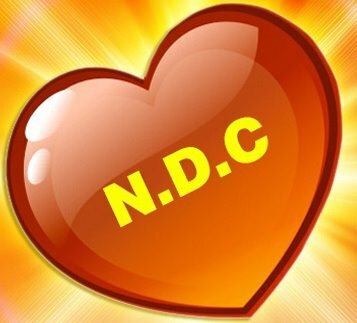 The National Democratic Congress (NDC) has said repeatedly that we support meaningful constitutional reform. Throughout the process, we have done everything reasonably possible to arrive at a package of reform of the constitution on the basis of national consensus and bi-partisan cooperation. Despite these efforts, the NNP Administration has effectively hijacked the Constitution Reform Advisory Committee (CRAC) and is using a carefully selected few members of the committee to implement its own, politically motivated, reform agenda. The NNP reform agenda is driven mainly by a deep desire by the Prime Minister to salvage his legacy. While pretending to do otherwise, Dr Mitchell and his Cabinet of Ministers have taken an authoritarian approach to the reform process, insisting from the very outset that the door is closed to further recommendations. They selected a small team of supporters of constitutional reform who, perhaps in a genuine desire to bring about constitutional change, adopted practices and procedures that were wholly inconsistent with established norms and international standards. As a result, the approach taken to the Constitution Reform process has been marred by underhand dealings, short cuts, political shenanigans, and smokes and mirrors. The National Democratic Party’s genuine efforts to ensure that the proposed changes to the constitution reflect the recommendations made by the previous Constitution Review Commissions and Bodies, were arrogantly rejected. In fact, in a few instances, even the recommendations submitted to the Cabinet by the Constitution Review Advisory Committee itself, after consultation with the people, were dismissed by the Cabinet with no good reason or explanation. The country is still awaiting the issuance of the Writ for Holding a Referendum in Grenada. Furthermore, in all Commonwealth countries, such an announcement is made by the Prime Minster of the country after consultations with the Governor General (this is seen in the recent referenda in Scotland, Bahamas, Bermuda and the United Kingdom). In this case, not even a member of the Cabinet of Ministers was in attendance when the announcement was made. The proposed changes have not been sufficiently explained to the people of Grenadians and they still do not know and do not understand what they are being asked to vote for, on Referendum day. We note that the Government of Grenada has received a substantial sum of money from the United Nations Development Program (UNDP) to educate the people about the Constitution Reform and the Referendum. We regard as a dereliction of duty, the failure or refusal on the part of the NNP administration, led by Dr Mitchell to adequately explain to the nation as a whole exactly what changes are proposed to the Constitution, what will these changes mean for our democracy and the future of our country; and what is expected of them on Referendum Day. The National Democratic Congress (NDC) will address this matter further at an Extraordinary Press Conference tomorrow Thursday, 15 September 2016, at 11 am at our usual Press Conference venue.